International Education Week at UC San Diego brought a host of workshops, festivals, and presentations to campus in order to celebrate the benefits of international education worldwide. As part of the celebration, Associate Vice Chancellor Ed Spriggs spoke to students about careers in international law and development. Associate Vice Chancellor Spriggs’ expertise in the area comes from 20 years working with USAID and serving as a senior Foreign Service officer. After graduating from UC San Diego in 1970, he went on to law school at NYU and later practiced international corporate law for a private firm in Washington DC. Working for USAID afforded him the opportunity to open economic aid programs, work with anti-apartheid organizations, design grants to foster Black South African economic integration, enable the defense of human rights and democracy programs, along with supporting a host of other programs in Eastern and Southern Africa. Associate Vice Chancellor Spriggs’ advice to students interested in “making a difference” through a career in international law and development was two-fold, offering advice on how to prepare while still in college as well as recommendations on how to “break in” to the field after graduation. He suggested that current students take international courses, join clubs, study abroad, and learn a language. Conscious engagement is the key; nothing worthwhile will simply fall in your lap. 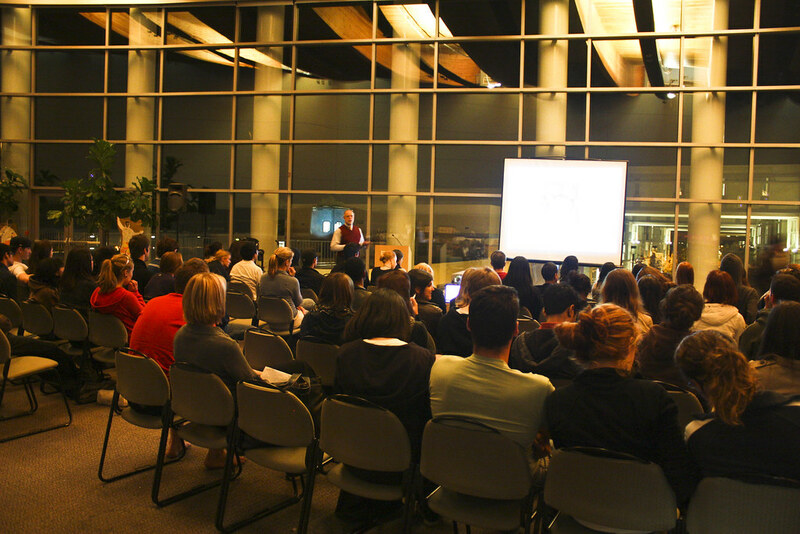 Get to know faculty members and other experts during your time at UC San Diego. He emphasized the importance of internships, even those that come without a paycheck. For Vice Chancelor Spriggs, the experience he gained from an internship in urban development brought him significant experiences and technical knowledge. The balance between “expertise” gained in school and “experience” gained outside of the classroom is one that each person must decide for him or herself based on what you need and opportunities are available. Always remember to maximize your options! However, “If you want to make a difference you need to position yourself to be at the right place at the right time to add your ideas and energies to those of others with similar values, or to fill a niche where your talents are uniquely needed”. Generalists come cheap; a technical, graduate degree will help you stand out from the crowd. For those taking their first steps towards a career, it is important to remain motivated, flexible and patient. Although maintaining all three qualities may seem daunting, being the “go to” person early on in your career will result in considerable gains. You never know how important an experience will be until you look back. The 60 hour weeks Vice Chancellor Spriggs worked early on in his career are one of the main reasons he was able to set his own terms when USAID came knocking at his door. He was able to negotiate because he paid his dues and developed marketable skills. International organizations are playing for high stakes and are thus unwilling to take risks with the people they hire. They want to know what experiences you have and what you will bring to the table. Vice Chancellor Spriggs also shared the stories of other UC San Diego alumni who are working to implement measurable change. Kristin Kalla, a Communications major who graduated in 1987, flunked her first year at UCSD and now serves as Senior Program Officer at the Trust Fund for Victims at the International Criminal Court in The Hague. After struggling to pass her classes as a freshman, she volunteered for Operation Crossroads in Botswana, and gained a great deal of insight into herself and her career goals. She later went on to earn an MA in African Studies and a MPH, both from UCLA and worked for UNICEF in Ethiopia as well as the Global Fund for HIV/AIDS in East Africa. With this new expertise, she was able to pursue a career in “making a difference”. 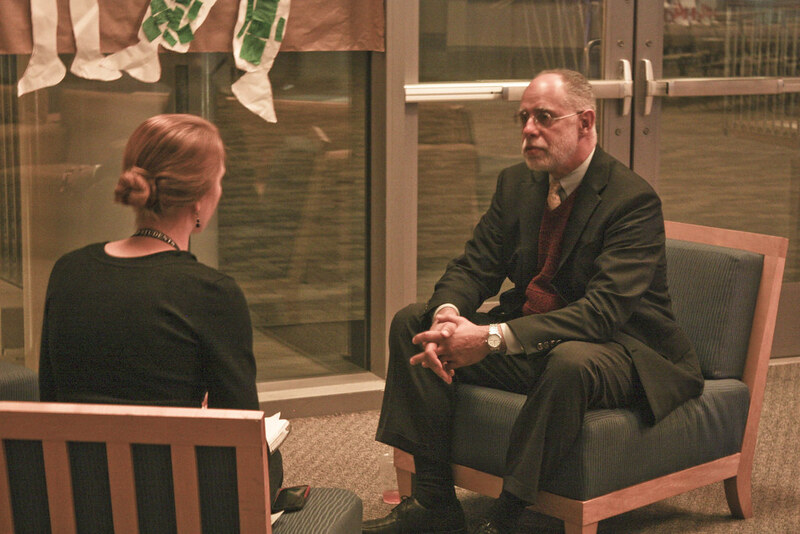 Following his presentation, Vice Chancellor Spriggs sat down with Prospect Journal to share his expertise on foreign aid and development and to comment on the future of such programs. PROSPECT: Before you were recruited by USAID did you have any experience working in Africa? ES: Yes I did. During my first year after law school, I went on a study tour to Kenya and Tanzania, which had seminars at the University of Dar es Saalam, where I spent two months traveling, studying, and reading. Also, I had done quite a bit of reading on Africa and taken classes on African art, history, and culture here at UCSD. Also, while i was at NYU in addition to the trip to Africa I had a lot of opportunities to study and discuss with fellow students from Africa. PROSPECT: Is that how you found your niche? ES: Well I think that has to do with the destination and motivation. The niche was law and economics and the motivation was to try to apply it in some way to help Africa, as opposed to wanting to help Africa but not having technical or professional platform on which to do it. PROSPECT: Why do you think Africa faces so many problems in comparison to other regions in the world? ES: I think it’s largely due to the original carving of Africa into countries that were too small to be economically viable, that was all part of the colonial history of Africa. The retarding of developing in African countries including education systems, technical training etc is also part of the colonial system. Until this day, the trade barriers make it very difficult for Africans to sell manufactured goods in the west particular to the US. Trade relations can change a lot of income patterns in Africa if we were more open to trade with African countries. PROSPECT: With the likes of Dambisa Moyo and William Easterly’s regularly criticizing foreign aid, do you think there is any possibility that it has to do with the type of aid it’s being offered to Africa? ES: We have a successful model for how development can work in Africa and the most successful country in Africa is Botswana. We poured 2 or 3 decades worth of education assistance into Botswana in the early 1960’s. That was exactly the right thing to do because we built their educational capacity and human capacity. As a result they were able to do a lot things on their own and they were relatively free of corruption. If we choose to invest in people for generations, then we are going to see results. It enables people to decide what’s best for their country. Every single country has a different set of requirements and standards. Then there is another aspect: Who is to deliver the aid and has this become a self-interested industry? For both for-profit and non-profit firms, their primary objective is to get more grants and more contracts for survival. Rather, it should be lack of their own necessity, in another words, every one working in development aid should be working to work themselves out of job. It’s teaching people to fish and getting out of their way. Until we deal with such problems, we will have continual dependence of Africa on foreign aid. We need to examine what our roles are when it comes to eliminating global poverty and whether we are interested in helping to create a world where there aren’t these countries in dire straits. This should be a national calling, because it could be a way to mobilize youth, our universities, and our resources. It is probably true that not much more money is needed than what we are already spending if it is used properly. PROSPECT: With mobilizing youth, what types of jobs does USAID offer for students? ES: They don’t but there are quite a few organizations out there including government and non-governmental organizations that hire students with advanced degrees for specific roles. You could start and build your resume and work your way up and once you get to that level, you can potentially become an officer and go from there. The same exact path exist with non-profits, get an internship with a nonprofit and then get a higher degree and go back to work to get more experience. The more experience you have the better your chances are to work in an organization like the World Bank. For example, I think initially if you can get a job with an NGO as an intern, lets say a NGO in Botswana, it could help build your resume and give you experience. Then you could go to grad school and work with the organization as a part of your master’s thesis. You could find the links that get you into that kind of an organization that can help you discover more opportunities through lots of different ways. Idealist.org is one of the best resources for those looking for the opportunity to volunteer in Africa. Volunteer opportunities are listed in the hundreds. There are also some paid job offers listed for Africa and other areas. WorkingAbroad.com offers a personalized list of volunteer opportunities to suit your profile. For a fee you can fill out what type of volunteer work you are interested in, where you wish to work and how long you can work for. Working Abroad is affiliated to hundreds of organizations some of which are very grassroots based and which you may not otherwise find independently. TransitionsAbroad.com has a good list of volunteer opportunities in Africa with contact information for each organization. There are many reasons why people want to volunteer in Africa and it’s important you choose an organization that shares your ideals and goals. Voluntary Service Overseas (VSO) is a British based charity organization which recruits professionals for two-year stints throughout Africa. There are a couple of youth programs available for 17-25 year-olds that require a shorter time commitment. VSO is one of Britain’s most established and professional charities. While most of their recruits come from the EU, anyone is encouraged to apply. You can search for jobs by skill area. Habitat for Humanity is a US based organization publicly supported by former president Jimmy Carter. Their focus is on providing housing for people throughout the world. Habitat offers paid international positions for 3 year terms. They also offer an international volunteer program which is a 2-3 month commitment where you are expected to cover your own costs. UN Volunteers (UNV). Volunteering for the UN requires you to have a minimum age of 25 and while you can specify the country you would like to work in, they will place you where they need you. The jobs are usually for a 1-2 year time frame and are paid. Working as a UN Volunteer is a good way to get a foot into the wider UN organization if that’s where you’d like to have a career. Cross-Cultural Solutions is a non-profit organization headquartered in the US but with several offices around the world. They offer short-term volunteer opportunities to many developing countries including Ghana and Tanzania. Volunteer assignments range from 2-12 weeks and the volunteer pays a fee to join the program. This is a good program for those looking for an alternative to just traveling around. You’ll get a great opportunity to live locally and help a community at the same time. Peace Corps volunteers usually spend 2 years working on a project. Only US citizens are able to get a volunteer job with the Peace Corps. Every Peace Corps volunteer gets paid a modest stipend and all travel, in-country training and medical costs are covered. The Peace Corps works in about 30 countries in Africa, so there’s plenty of choice. SPW (Student Partnership Worldwide) is a global volunteer agency based in the UK for young adults aged 18-28. Volunteers are called “Peer Educators” and are sent to various countries in Africa (and Asia) to lead programs that address urgent health and environmental issues. The average length of a placement is 8 months and the volunteer pays a fee to be able to participate in the program. Volunteer opportunities are available in Uganda, South Africa, Tanzania and Zambia. Medecins Sans Frontieres (Doctors Without Borders). MSF is my personal favorite because they work under the most dangerous circumstances and are often the only ones still working when all others have left the scene. MSF Volunteers are generally expected to be available to work for 9-12 months and often in fairly extreme conditions. MSF offers volunteer missions to health professionals, administrators and logistics staff. Heifer International: Heifer has learned over the years that a holistic approach is necessary in order to build sustainable communities. So we’ve developed a set of global initiatives – areas of emphasis that must be addressed if we’re to meet our mission of ending world hunger and poverty and caring for the earth. Projects Include: Agroecology, Animal Well-Being, Gender Equity, HIV-AIDS, Microenterprise, Urban Agriculture, Young People’s Initiative. Today a remarkable Matching Grant Challenge from the Bill & Melinda Gates Foundation is doubling all gifts made in support of the East Africa Dairy Development Project. Bill & Melinda Gates Foundation: The majority of our work in health, poverty, and development is done in Africa. Congratulations to the students of Prospect for insightful articles. I particularly enjoyed Vice Chancellor’s comments; it’s great to see an administrator still giving back directly to students. Ed Spriggs worked for USAID and then practiced international corporate law for a private firm? sitting quietly, simply watching the film. It is a good one it’s possible you’ll not have considered. Establish the alpha males that every theater has.